We can already see the potential for artificial intelligence (AI) in international development: the seemingly endless possibilities to enhance productivity and innovation across healthcare, agriculture, education, transportation, and governance. Yet it is also becoming abundantly clear that AI could have negative repercussions as well, particularly in countries with weaker institutional capacity and legal protections. AI has the potential to threaten democratic processes, employment, human rights and — because of the weaponization of AI tools — privacy, policing, and defense. Apart from these potential benefits and threats, the transformative potential of AI for both good and harm will be magnified in the Global South, where existing gender and socio-economic inequalities could either be tempered or exacerbated. Given the opportunities and potential consequences of new automation and mechanization techniques and advanced analysis through machine learning and neural networks, IDRC is investing in applied research across a number of domains to advance the public good with the use of artificial intelligence for development (AI4D). Responsive institutions and good governance have a crucial role to play in mitigating the potential harms of AI, such as job losses, while ensuring that AI systems deliver innovation and impact. Research and innovation networks will foster collaborative and cross-disciplinary spaces for experts to design context-specific AI solutions across a broad range of sectors. It is crucial to support building blocks for the successful dissemination of AI, such as releasing public and private sector data, capacity building, and supporting ethical and fair systems that support the public good. What does AI4D look like in practice? IDRC’s white paper, Artificial intelligence and human development, offers a detailed analysis of AI’s potential impact in the Global South and proposes a proactive research agenda to address the challenges AI poses in the developing world. 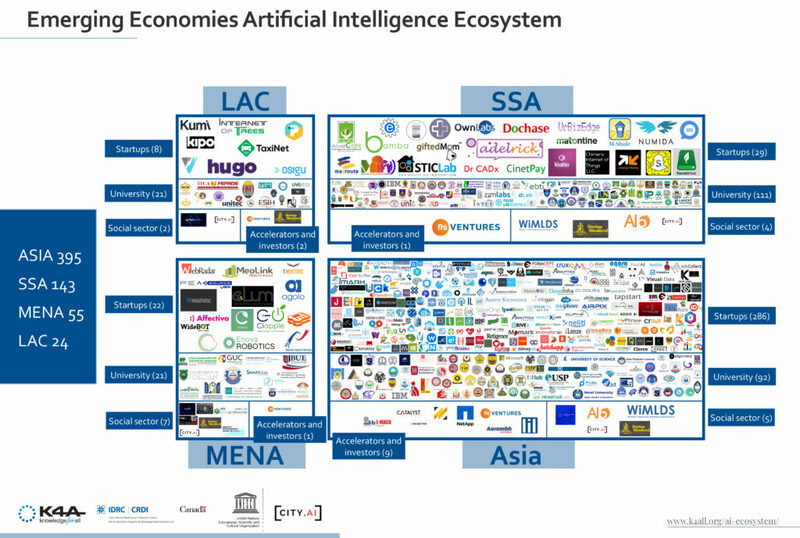 A recent mapping of AI talents, actors, and knowledge hot spots in the Global South illustrates the extent to which universities, start-ups, and other stakeholders already engage with AI across Africa. Through a series of consultations and workshops, IDRC is working with partners to build networks of AI researchers and innovators in Latin America, Africa, and Asia. A critical focus of these consultations is how AI can contribute to achieving the UN’s Sustainable Development Goals. In turn, these consultations will form the basis of networks of excellence to advance and implement the AI4D program. Where will AI lead and who will it benefit? IDRC is supporting research that seeks to improve our understanding of how AI will impact human development. The launch of a network of excellence will improve our understanding of the ways AI will impact human development. The big data for development network is using AI to measure progress on the Sustainable Development Goals. 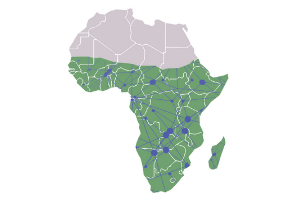 The Open Africa Innovation Research Network (OpenAIR) is exploring how Africa’s high-tech hubs facilitate the adaptation and adoption of AI to inform government priorities. In this UNESCO blog post, Naser Faruqui (IDRC), Elissa Strome (CIFAR) and Remi Quirion (Province of Quebec) explain why Canada became the first country in the world in 2017 to announce a national strategy for artificial intelligence. Artificial intelligence is a double-edged sword, observes IDRC’s Matthew Smith — its benefits and pitfalls need to be balanced.